Given just months to live, musician Wilko Johnson decided to live life in the moment, embarking on a series of farewell gigs and recording. But he didn’t die. A chance meeting with a photographer resulted in a life-saving operation. The Cheshire Living Well, Dying Well Partnership supported the Awareness Week by delivering training to staff and volunteers; a Wills Workshop for members of the public; meet-and-greet sessions in libraries and other public settings and a live Twitter chat. Are Direct Cremations The Equivalent Of No Frills Budget Airlines? Direct cremations and burials provide people with the option to dispose of the body without fuss or frills whilst leaving them free to say goodbye how, where and when the time is right. The precise number of direct cremations and burials in the UK is hard to come by. The National Association of Funeral Directors estimate that about three per cent of the annual deaths in the UK involve direct cremations and burials without funeral ceremonies. So, what is behind the increasing interest in direct cremation? For some people, it’s money. The average cost of a funeral now stands at £3,456, having risen 80 per cent since 2004. Once the extras such as flowers, wreaths, catering and venue hire are included it can bring the bill up to £5,000 and above. Researchers at the University of Bath estimate one in five families struggle to meet the cost of funerals. Companies specialising in direct cremations as well as some funeral directors offer this option for less money than a 'traditional' funeral. Recent news coverage as well as a quick Internet search suggests that a direct cremation can cost in the region of £1000. Is this true? Some costs related to direct cremations are fixed. Two doctors have to certify the cause of death, which will cost a total of £164.00. The crematorium fee is unlikely to be less than £700.00. In addition, the body has to be presented to the crematorium in a simple coffin and unless you have a suitable vehicle there will be a charge for transportation of the body from a hospital or coroner's mortuary to the crematorium. There may be other costs if the body was stored in a funeral director’s mortuary or if a pacemaker or artificial body part has to be removed. There is also some legal paper work to complete. As with all service offers, it’s important to check what is included in the quoted fee and what is not. In most cases, direct burials when compared to direct cremations will cost considerable more because of the cost and preparation of the grave. A direct cremation will take place at a date and time chosen by the crematorium. The company or person organising the direct cremation will have no say over this. The ashes can be returned to those requesting them. For thousands of years, funerals have been a means of expressing our beliefs; thoughts and feelings about death. The coffin, hearse, procession and funeral service in the crematorium or at the graveside is an important custom and ritual; potentially an important part of the grieving process and an essential part of a religious service. Doubts about direct cremations and burials are understandable. There are plenty of people who prefer the sober dignity of a traditional church funeral, or indeed a secular service that is solemn rather than celebratory. David Bowie and Anita Brookner’s decision to opt for direct cremation has shone the spotlight on the subject and created talking points. I was interested to find out about the local situation. A phone call with Steve Linde, Funeral Director at Crewe Funeral Service reveals that direct cremations and burials have been arranged alongside traditional funerals ever since he has worked in the profession; sometimes for financial reasons but more often out of choice. 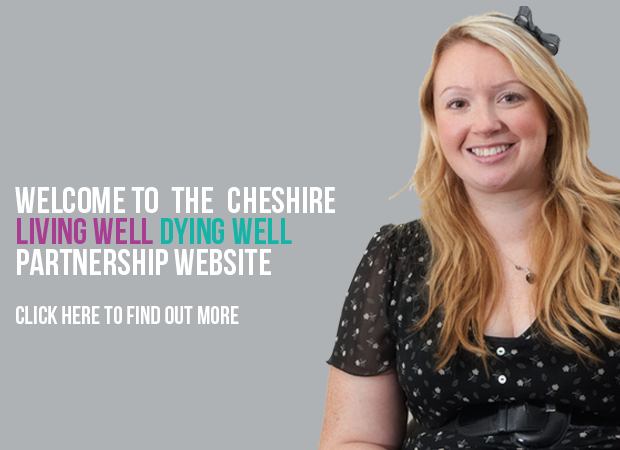 The Cheshire Living Well, Dying Well Partnership aims to inform and enable people to make choices about life, age, death and loss. Being clear about our preferences means that when we die, those people close to us know what we want to happen. Direct cremations and burials represent another option to consider and talk about with those people close to us. “I was honoured to be able to present at this year’s conference to launch the national Dying Matters Awareness Week and have the opportunity to update people about our work in Cheshire. Hopefully, some of the examples and learning I shared has helped to inspire people to get involved and work alongside others within their communities to make a difference. Small actions can make a big difference”. Have you plans to support Dying Matters Awareness Week 2016 where you live, work or play? Have you ideas to encourage families, friends and the wider community to talk to each other about the importance live, age, death and loss? If so, please keep us updated and let us know if we can provide support. Please contact the Cheshire Living Well, Dying Well Partnership. 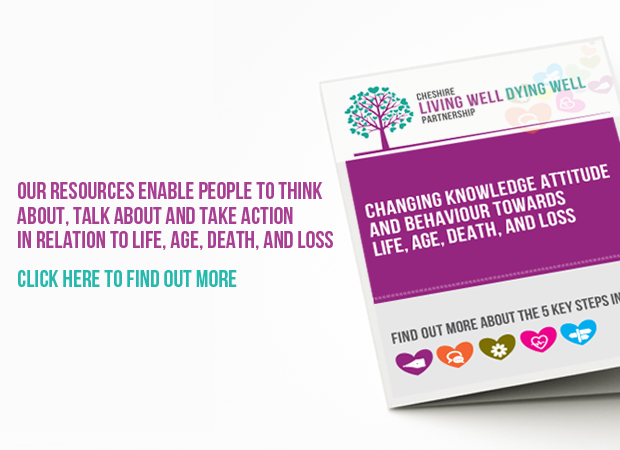 The Big Conversation: Awareness Week 2016 resources can be obtained from Dying Matters.